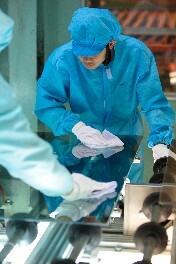 PMK has been engaged in the business of product safety glass. energy-saving glass, interior decoration galss and glass for other industrial used both domestically and internationally for over 40 years. Today PMK has its head office in Krathumban, Samutsakorn Provice and a factory in Bangpong, Rachaburi Province with a total facility area of 101,000 M and workforce of 1,100 people. At the start PMK engaged in business by production of automotive glass for cars and buses and earned the trust of customers for a long period of time with its expansive vision, PMK expanded its production of automotive safety glass to incorporate high quality glass tocater for architechtural design, interior decoration and other industrial applications such as furniture and freezers. 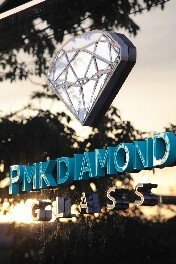 With its long experience and extensive expertise in the production and the marketing in the glass industry, PMK Understands very well the demands of customer, esperciall those who occupy their own residences and buildings, especially architectural groups who need a specialty glass and require specialist attention in order to meet their requirements in major projects which bear their own hallmark of outstanding design. PMK has always been developing, researching and improving the design and quality of its products whilst maintaining the quality under the management of a professional management team and seasoned technical staff inglass design and manufacturing, using computer systems and modern technology. PMK is committed to be part of a effort to reduce the universal problem of global warming, which becomes a major issue now. With its production capability and its ability to develop energy-saving glass with the design, color,and quality appropriate for everyday use, PMK has becoma leading company in the Thai glass industry that is capable of supplyingquality products to meets international standards. Because the value of "Diamond Glass" is beyond "Glass"